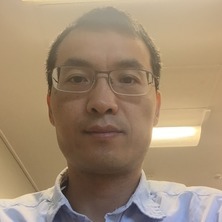 Xiaoyong Xu finished his PhD thesis in 2014 from The University of Queensland, which was entitled “Improvement of the anode performance for direct carbon fuel cell. Following completion of his PhD, Xiaoyong undertook a Postdoctoral Fellowship position at John Zhu's group, The University of Queensland, developing a tubular solid oxide fuel cell stack. Xiaoyong's research interests include direct carbon fuel cells, direct methane fuel cell and solid oxide fuel cells with strong application focus on clean energy and environment. He is currently working in an ARC-Linkage project (Scale-up of the Direct Carbon Fuel cells). Membraneless Fuel Cells convert stored chemical energy into electrical energy without the use of a conducting membrane as with other types of fuel cells. The lack of a membrane means they are cheaper but the size limits their use to portable applications which require small amounts of power. Xu, Xiaoyong (2014). Improvement of anode performance of the direct carbon fuel cell PhD Thesis, School of Chemical Engineering, The University of Queensland. Xiaoyong Xu (2011). Phase Equilibria Study of Tin-containing Slag MPhil Thesis, School of Chemical Engineering, The University of Queensland.